Batters were given three outs per inning, and the player with the most home runs after nine innings wins. If the players were tied after that time, the derby would go into extra innings as per regular baseball. The winner received $2,000 and was invited back for the next week's episode against a new opponent. The loser received $1,000. There was extra money awarded in certain cases however. If a batter hit three home runs in a row, he would receive a $500 bonus. A fourth home run in a row would be worth another $500 bonus. Any consecutive home runs hit beyond that would each be worth $1,000. It is believed that Jackie Jensen was the only player to hit more than three home runs in a row (he hit 5). 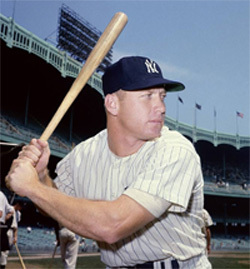 He still lost the contest to Mickey Mantle though. 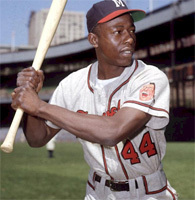 Hank Aaron held the record for most consecutive wins (6) during the Home Run Derby TV series. He was paid $30,000 for his appearances -- almost as much as his annual salary. The prize money encouraged Aaron to change his approach in hitting and swing for more homers. Aaron defended his decision by saying, "I noticed that they never had a show called "Singles Derby." Wrigley Field was a ballpark in Los Angeles, CA, which served host to minor league baseball teams in the region for over 30 years, and was the home park for the Los Angeles Angels in their expansion season of 1961. The park was built in South Los Angeles in 1925 and was named after William Wrigley, the chewing gum magnate who owned the first tenants, the original Los Angeles Angels minor league team. 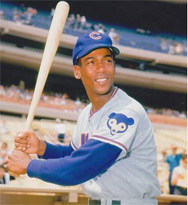 Wrigley also owned the Chicago Cubs, who play in a more famous park named after him.